When something is American made you can be assured it's built with integrity and grit. 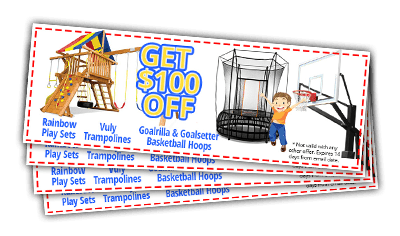 Goalsetter Hoops have a few features that allow it to stand alone in the industry. 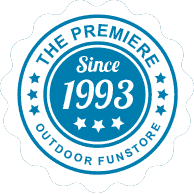 These hoops have a patented design on the In-Ground anchor hinge system making installation quick and painless. It just locks into place and all you need to do is tilt the pole upright until your hoops stands straight and firm. Other companies use j-bolts causing what should be a smooth installation extra time, effort, and energy. • Have a favorite College Basketball Team? Show them off proudly with a custom printed pole pad with name and logo! 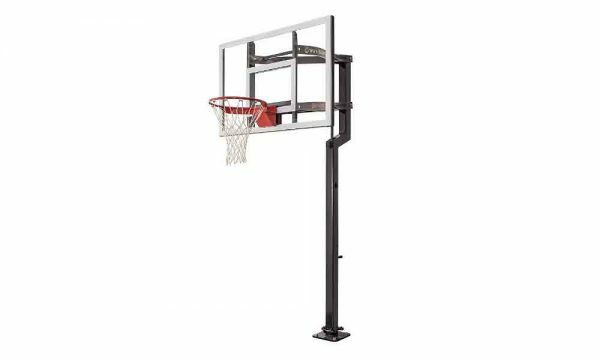 We can honestly almost everything about a Goalsetter Basketball sets it apart from our competitors! 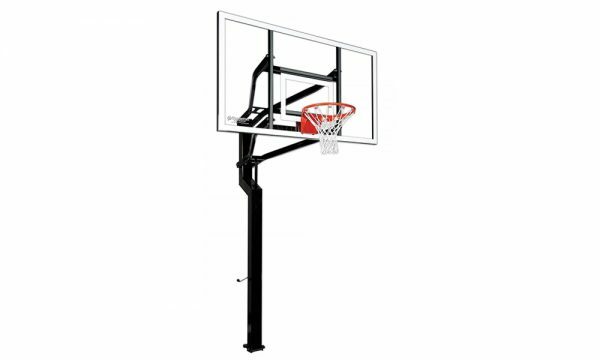 Almost every inch of a Goalsetter is designed to enhance the performance and durability of your basketball goal. Goalsetter’s patented feature, includes the Compression Height Adjustment Systems and our Patented Hinged Ground Anchors. Other unique features include Fortified Acrylic Backboards and our One-Piece Off-Set Structural Steel Poles. What is included in the purchase price of my basketball goal? It will typically include the five major components that need to be installed. These include: Ground Anchor, Pole Assembly, a pair of Extension Arms, a Backboard, and a Rim. It is your choice if you would like to include any add-ons like our collegiate pole pads. 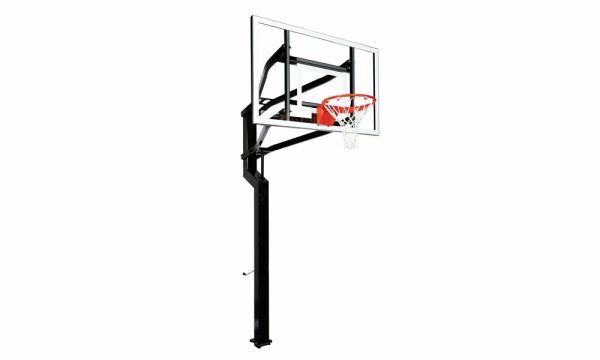 Some of the features that may be slightly different among models include pole sizes, pole design, backboard size and possibly material. How are Goalsetter Systems anchored into the ground? No J Bolts used here! Goalsetter Systems use a patented ground anchor hinge system. First, the ground anchor is placed in a 4’ deep hole and solidified. When dry, the hinge system allows complete assembly of the Goalsetter hoop before it is raised upright and bolted to the ground anchor.